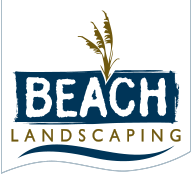 Below are are frequently asked landscaping questions as well as answers. If you question is not listed below, please head over to our Contact Us page and fill out the form. Hope that helps! Q: Aside from landscaping, do you guys also cut grass? A: Yes we do. The season will dictate how often we feel is necessary to cut. Q: I had an irrigation system installed at my new house, but I have no idea how to use it. Could you guys help me with that? A: Of course we can! From initial start up to monthly monitoring, we can assure you that your system runs properly. Q: I wanted to get rubber mulch for my flowerbeds. Do you have access to those types of materials? A: Whether you are looking for your standard stone, mulch or dirt or your higher end, more expensive options like rubber mulch, we can get you whatever you would like to use. Q: Can you get rid of these bugs that keep eating my shrubs? A: Yes. We can help eliminate fire ants, mole crickets, chinch bugs, fleas, ticks and whatever else is affecting your plants. Q: I think a fire pit would look perfect in my backyard. Do you guys handle projects like that? A: The answer is yes! Whether you are looking for a fire pit, a gazebo, a small fountain, or just an outdoor patio, we can handle all of your outdoor projects. Q: I would like some flowers and palm trees planted in front of my business. Does your company also handle commercial jobs? A: Yes, commercial AND residential. We would be more than happy to brighten up your business!